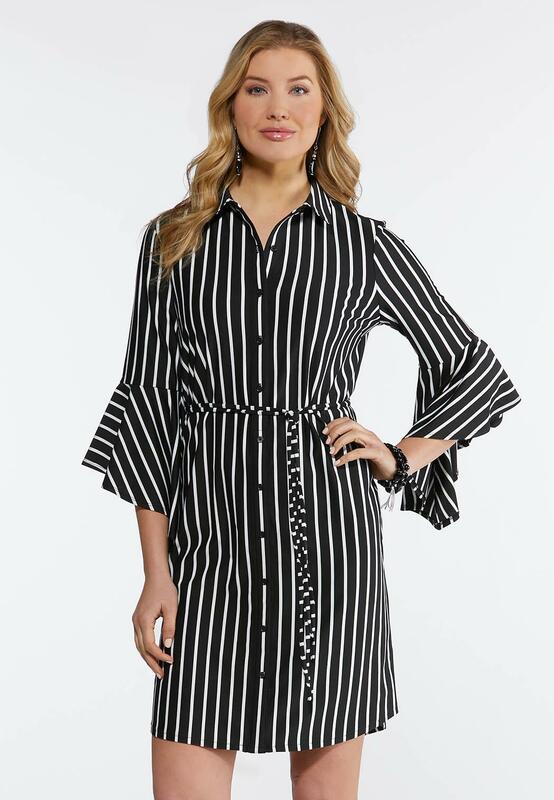 This confident look may just be your strong suit with its classic button down style, contrast stripe print, belted tie waist and flounced sleeves for that dramatic finish. Love this dress...just needed it to be little bit longer for my height...Im 59...otherwise it is so cute!! !